It's always a blessing when you meet special people via social media that become good friends. Yesterday one of those special friends, who is also a fellow coffee lover sent me a Starbucks gift card. 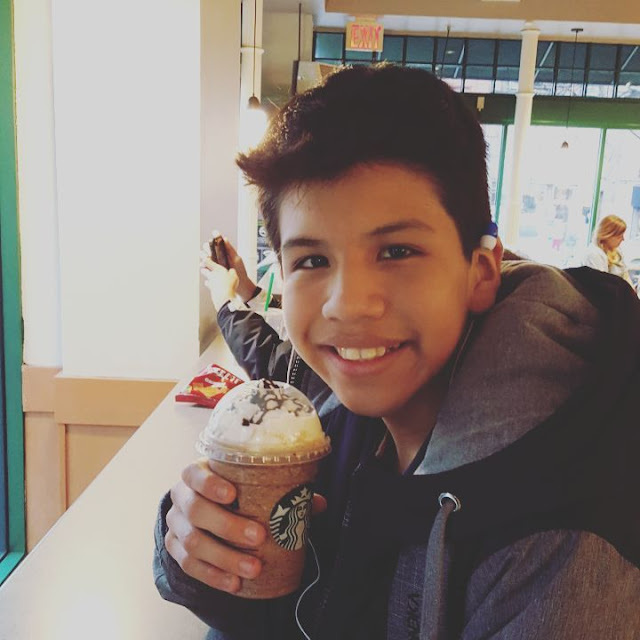 I had to share with my Miguel who loves Starbucks, it was a Java Chip Frap kind of afternoon. Those acts of kindness and friendship are seriously the best, and I am blessed to have so many beautiful friendships in my life.